The Viavito Sumi is a great and practical folding rowing machine that has a 7kg (15.4lbs) flywheel promoting smooth rowing motion and working your upper and lower body. The machine offers 10 levels of silent, friction-free manually-controlled magnetic resistance to get your heart pumping and you burning calories. You can monitor feedback from your workout on the LCD display that shows time, distance, calories, count and strokes per minute. For your comfort there is an ergonomic seat and large foot pedals. 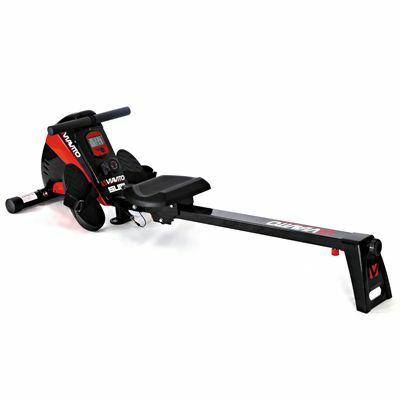 The row length is 80cm (31.5”) and this combines with the commercial-quality rollers and the smooth 4-roller system to ensure your rowing is fluid, smoother and enjoyable. Once you’ve finished you can fold up the rower and store it more easily thanks to the transportation wheels. for submitting product information about Viavito Sumi Folding Rowing Machine We aim to answer all questions within 2-3 days. 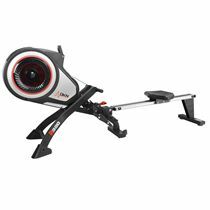 for submitting product information about Viavito Sumi Folding Rowing Machine. We aim to answer all questions within 2-3 days. If you provided your name and email address, we will email you as soon as the answer is published. Is a heart rate monitor available for the Viavito Sumi? Unfortunately no. 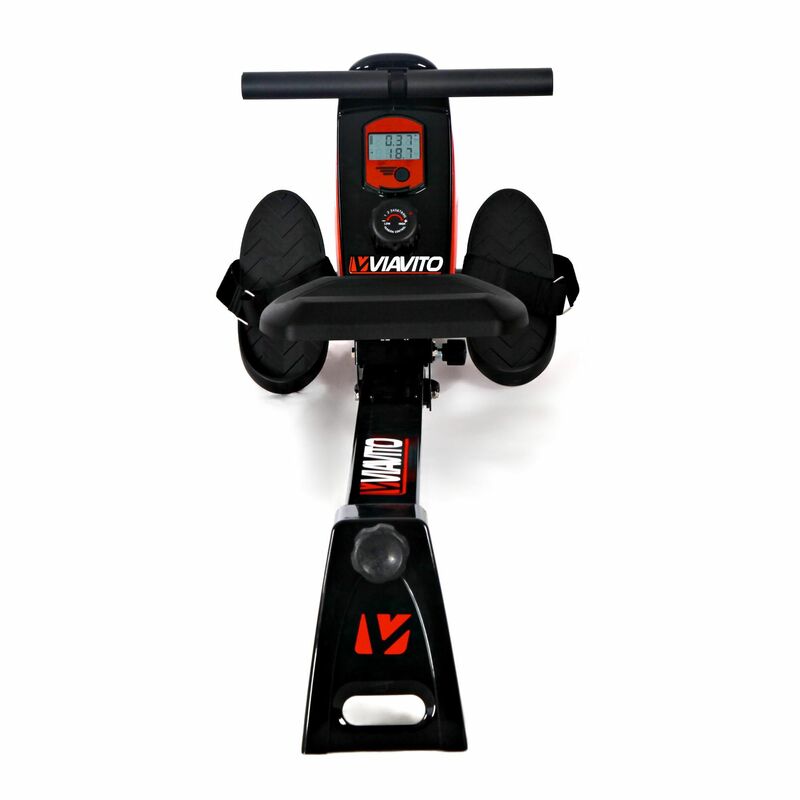 If you're looking for a machine offering pulse readings, please check out the Viavito Rokai multi-function rowing machine. This model is fitted with a built-in wireless heart rate receiver that's compatible with uncoded, standard frequency transmitters. How big are the packages when delivered? Can the rowing machine be stored in cold conditions eg used and stored in outside garage? It’s not recommended to use and store this rowing machine in cold conditions. 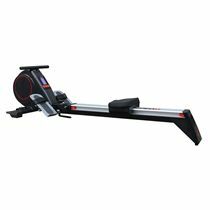 The rower should be kept in a warm, clean and dry environment. Do not position it near water or outdoors. What does Row Length: 80cm (31.5”) mean? It means that the seat will travel a maximum of 80cm along the rail. Suitable for users of up to 110cm (43.3) leg length, do you know what height ( Average ) this would be ?? 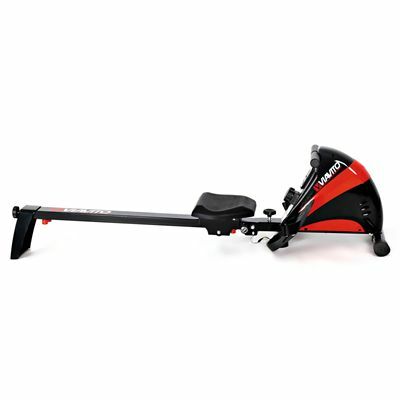 Viavito Sumi Folding Rowing Machine is suitable for anyone up to 6'6 in height. I am 6'3 will my legs be fully extended on this machine? Yes you will be able to fully extend your legs whilst using the rower. Smooth action and feels as if it is good quality. However, not easy to fold which was a bit disappointing as we are short of space. Certainly doesn't "fold" without unscrewing and rearranging a few of the components! This is my first rowing machine and I'm really happy with it. The tension is good and the machine feels robust. It was very easy to put together. Very smooth running with no noise so I can row and watch TV at the same time. Just what I was looking for. Despite being 105+ kg it’s working perfectly. Love it for quiet operation and solid build quality. Resistance is more than enough and rowing motion is really smooth. Would recommend to all rowing enthusiasts! This machine is very sturdy. My son said he didn't expect it to be as good! It looks good and hopefully it will serve us well. 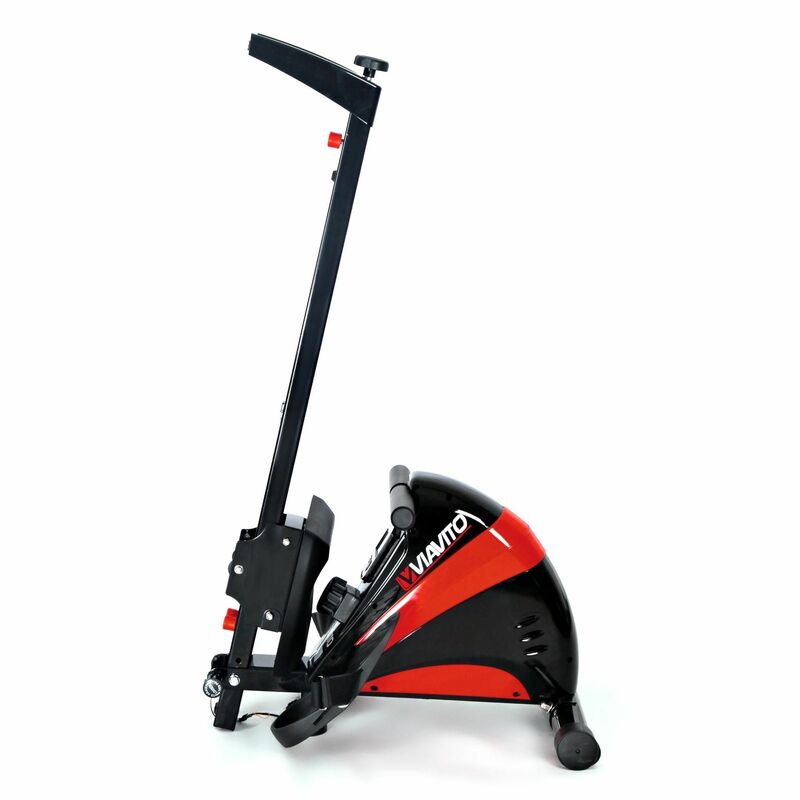 Great bit of exercise equipment- not used to much exercise, but this seems to be working, to tone me up! Simple and effective. Screen information somewhat limited. Easy to fit together and fairly easy to move when complete. The start moves well and the tension dial let's you set your own level of resistance. 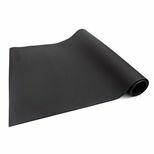 It is fairly compact which is an advantage for using in a smaller room. The rower is good quality, sturdy and stable, it was easy to put together, folds up to limit the space it takes up and is overall a good quality item. It's used 4-5 times a week by myself (172 cm tall), but it also is suitable for much taller users (as used by my husband - 192 cm tall). 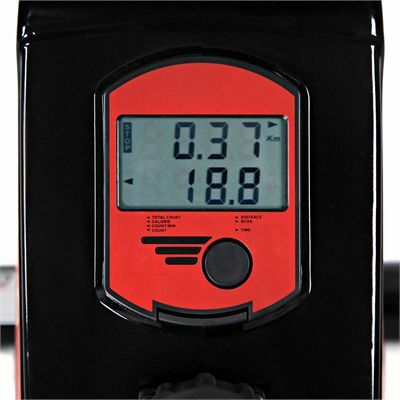 It has an easy to use screen that goes through each of the stats and also has an auto pause function, so if you stop, it will also stop - all in all, a good useful machine for someone that wants to work out for fitness. The only problem I have as I have small feet is the foot plates. A choice of large or small would be nice. Otherwise very happy with the machine. The machine was easy to put together and seems substantial. I've "enjoyed" using it, it is possible to alter the resistance and monitor various aspects of the workout. Really swift delivery...took less than an hour to put up by myself. I am really happy with it. It is quiet and robust. for submitting product review about Viavito Sumi Folding Rowing Machine.